Secretary of Education Betsy DeVos has proposed narrowing schools’ obligations when it comes to responding to sexual misconduct. 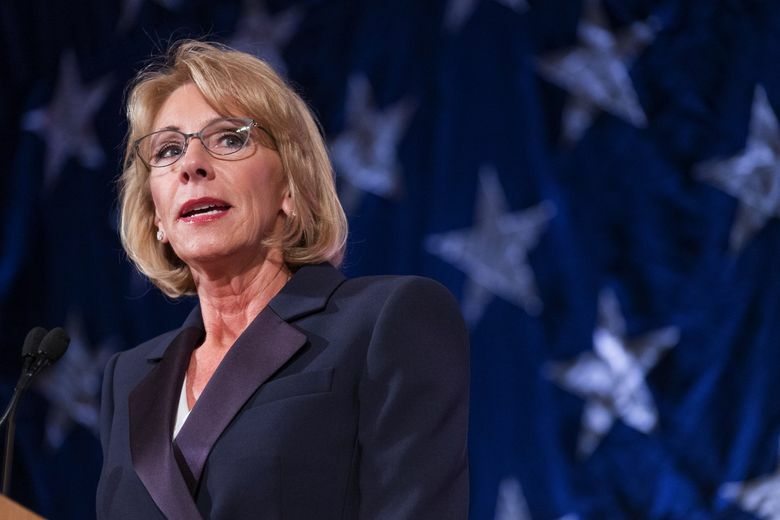 Starting today, you can tell the U.S. Department of Education what you think about her desired changes to Title IX regulations. The Title IX proposed rule can be found on the Federal Register. The public has until Jan. 30 to provide feedback, which can be submitted through the Federal eRulemaking Portal. DeVos’ proposal is a departure from Obama-era guidance for Title IX, a federal civil-rights law that prohibits gender discrimination in schools that receive public funding. These changes, DeVos has said, would make the process more fair to accused students and their schools. The proposal — leaked in September and officially released by the Education Department mostly unchanged this month — has been denounced by survivors and their advocates, who believe it will allow schools to avoid dealing with cases of sexual misconduct. Public comment opened Thursday, and lasts for 60 days — meaning you have until about the end of January to share your thoughts. Schools also wouldn’t have to respond to off-campus incidents and the definition of sexual harassment would be narrower. Other controversial changes include allowing schools to use a higher standard of evidence and mediation for sexual-misconduct cases, as well as requiring cross-examination by advisers during hearings. In September, administrators from Washington’s public four-year colleges told The Seattle Times they felt their schools already provided a fair process and hoped to stick to current policies as much as possible. The University of Washington plans to host discussions at the Seattle, Bothell and Tacoma campuses Jan. 14-17 and will have an online forum, spokesperson Victor Balta said. The university will consider responding to the proposals based on student input. The 60-day comment period comes as students prepare to go on holiday break. Balta said administrators would welcome an extension. UW administrators have concerns about the proposal’s narrowed definition of sexual harassment and the cross-examination requirement, Balta said. “These and other such requirements would, at minimum, result in more complicated and burdensome procedures and, at worst, could result in a chilling effect and erosion of trust and confidence in the University’s response,” Balta said in an email. Western Washington University’s Title IX Coordinator Sue Guenter-Schlesinger said administrators are committed to a fair process, but want to make sure they are following federal policy and are closely reviewing the proposal. 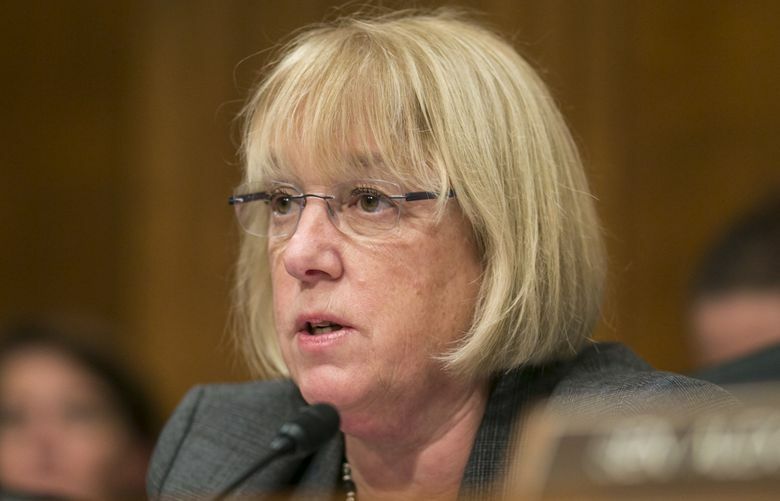 Sen. Patty Murray, D-Wash., ranking member of the U.S. Senate Health, Education, Labor and Pensions Committee, called on DeVos to withdraw the proposal at a Wednesday news conference in Washington, D.C.
Davidson said she and other advocates have been working to improve the Title IX process for survivors, and that DeVos’ changes would roll back that progress. The public has until Jan. 30 to provide feedback, which can be submitted through the Federal eRulemaking Portal.